A quick post! 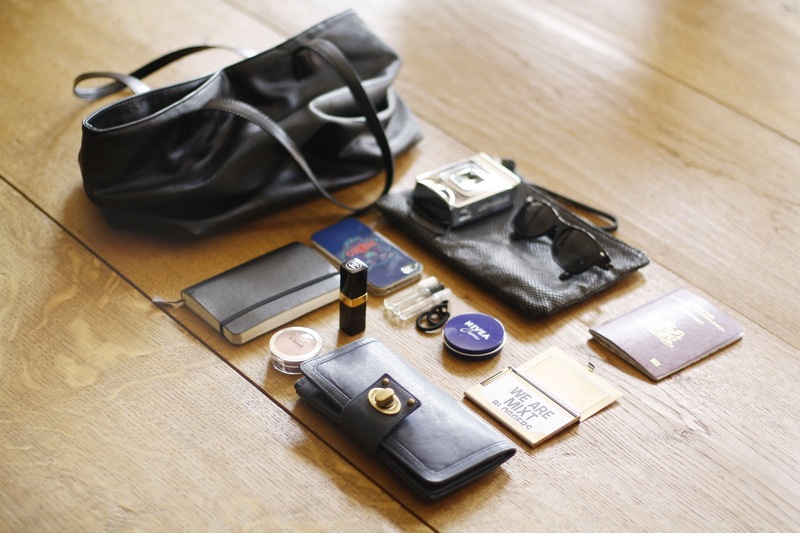 Giving you a glimpse into my bag; the essentials I always carry with me everywhere I go. Inside my bag I've got my COS clutch you've seen here. 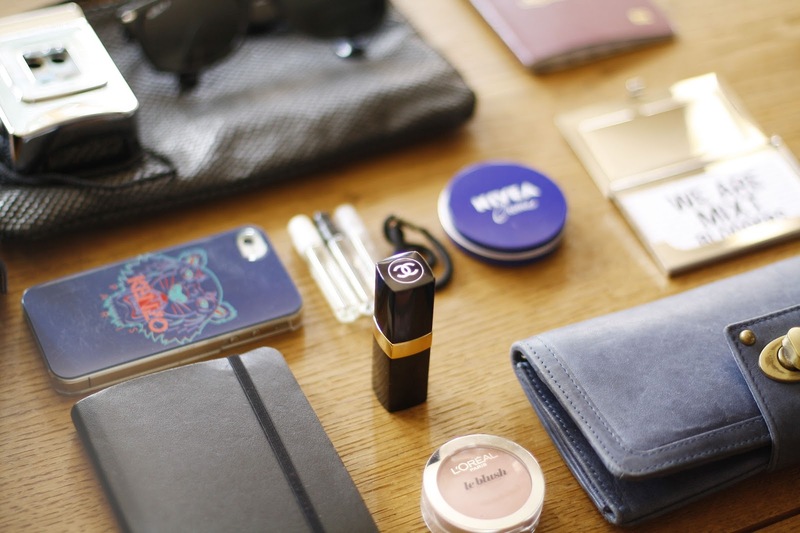 Inside the COS clutch I can put all my little stuff like; my Chanel Lipstick, perfume, nivea cream, my passport, agenda and my Loreal blush you've seen in this post. 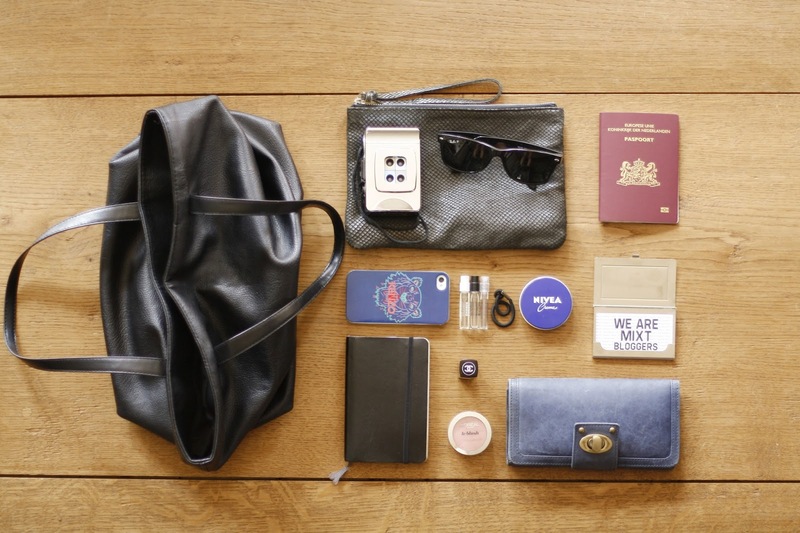 Of course my Iphone with the Kenzo case is the biggest essential, at number two my wallet and number three my Ray Ban Sunglasses. My wallet also got some important things inside like plasters, my passkey, earrings and a lot of hair bows and bobby pins. You also see my business cards that I actually need to refill. And the last thing: my Lomography action sampler. I got this camera for like two years, and since this month I decided to put it in my bag, always. In the end you always make the best photos at unexpected moments. Ik heb dezelfde tas, vind hem ideaal :). Leuk om te zien! Ik vind je mobielhoesje van Kenzo erg tof. I always find these sorts of posts interesting. Ik vind je tas heel leuk! Leuk dat je eens de binnenkant van je tas ook toont :) En super dat je altijd je kaartjes van je blog bij hebt! Heel erg leuk om te zien! Ik vind het sowieso altijd erg leuk om te zien wat anderen zoal meenemen in hun tas.